COLLEGE PARK, Md. 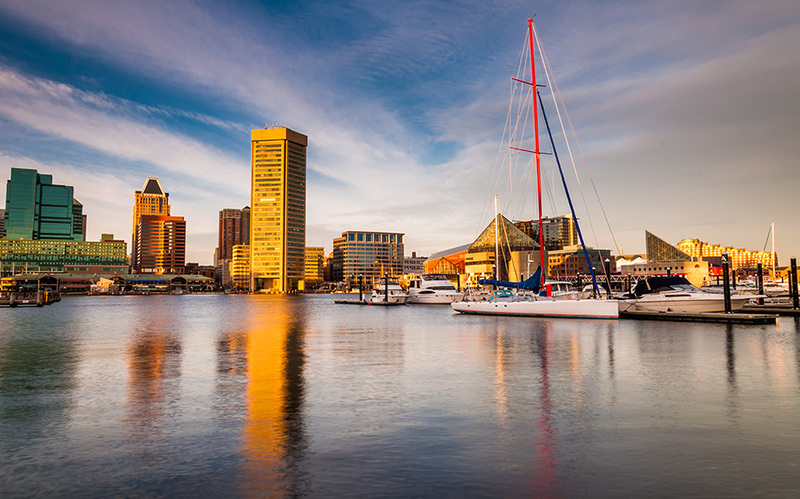 — Attracting mid- to large-sized medical device companies through established innovation hubs is the biggest key to growing Baltimore into a major medical device technology sector, according to a report released today by the Maryland Technology Enterprise Institute (Mtech). The Mtech-commissioned report, “Encouraging the Development of the Medical Technology Cluster in the Greater Baltimore Region,” was conducted by the [Johns] Hopkins Graduate Student Consulting Club. The study involved extensive interviews with 20 CEOs of medical technology companies, economic development officials and investors in the Greater Baltimore Region. The study benchmarked Baltimore against successful medical device hubs and identified bottlenecks to growing a vibrant medical device cluster, including a lack of mid- to large-sized medical device companies in Baltimore, perceived lack of experienced, C-level management and follow-on funding after initial seed funding. Establish public-private innovation centers to attract mid- to large-sized medical device companies. Encourage larger companies not in the medical device space to enter the sector through cost-matching or grant-funded partnerships with small companies or startups. Grow local medical device companies with an increased emphasis on late-stage or emerging company funding to help companies past the seed-funding stage. The report cites innovation hubs as a critical missing piece to the puzzle. Innovation hubs connect startups to incoming companies while lowering the barriers to entering the region. Through innovation hubs, capital becomes more accessible as venture capital and funding from the innovation center flows to startups. Experienced C-level management talent also becomes available for advising startup company leaders. More in-depth recommendations, along with benchmark metrics and additional findings are available in the report, available online at: http://mtech.umd.edu/Baltimore/docs/JHGCC_Med_Tech_Report.pdf. The study and report were compiled by Johns Hopkins graduate students Sam Hong, Katharina Schmidt, Joshua Wang, Hao Jia, Donna Cichani, Jing You and Belinda Peng. The mission of the Maryland Technology Enterprise Institute (Mtech), a unit of the A. James Clark School of Engineering at the University of Maryland, is to: educate the next generation of technology entrepreneurs; create successful technology ventures; and connect Maryland companies with university resources to help them succeed. Mtech has built a comprehensive entrepreneurship and innovation ecosystem at the University of Maryland. Its programs arm top students from around the world with the knowledge of how to successfully launch companies and guide aspiring and existing entrepreneurs through the entire lifecycle of launching and maintaining technology-based ventures. The Hopkins Graduate Student Consulting Club (JHGCC, previously known as the Johns Hopkins Business & Consulting Club*, or JHBCC) is a student-led organization that aims to introduce the Johns Hopkins students and staff to a career in management consulting by helping members: develop business knowledge and consulting skills through workshops, seminars, and bootcamps; network with experienced professionals and established firms via case competitions and infosessions; and build valuable experiences in leadership, teamwork, & communication through real-world engagements. For six decades, the Greater Baltimore Committee – the region’s premier organization of business and civic leaders – has been a leading voice for the business community on issues relating to economic growth, job creation, workforce development, transportation and quality of life. The GBC was organized on Jan. 5, 1955 as an action committee designed to mobilize the commercial, industrial and professional leadership of Baltimore to bring about tangible and rapid improvements in the community.